What Is Trinitite or Alamogordo Glass? 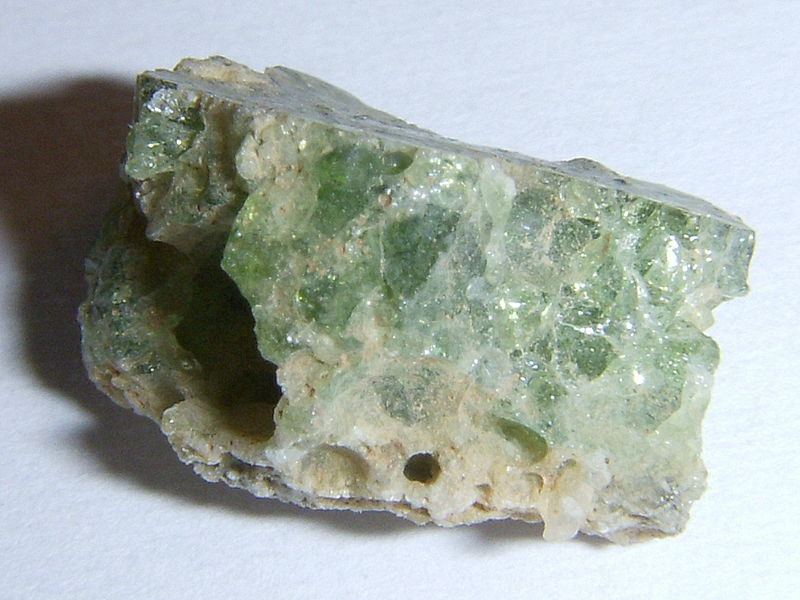 Home » Science Notes Posts » Chemistry » Materials » What Is Trinitite or Alamogordo Glass? This pretty green glass formed as a result of the Trinity Nuclear Test near Alamogordo, New Mexico on July 16, 1945. Although it is radioactive, it is safe to handle and valued by collectors. Chemically, trinitite is mostly fused sand, or silicon dioxide. It is quartz with feldspar and various impurities. While you might think Trinity or any atomic bomb would simply glass over the surface, it’s theorized trinitite formed when sand was sucked up into the nuclear fireball and fell as molten glass, like extremely hot radioactive rain. The desert sand formed green trinitite. Black trinitite contains iron from the metal tower constructed for the test, while extremely rare red trinitite gets its coloring from the actual device or the cables that led away from it. It’s illegal to remove trinitite from the test site, but there is material in circulation that was taken before the prohibition. There are other types of radioactive glasses, too. For example, if you had visited Chernobyl before they sealed it away, a piece of corium would be similar to atomsite from the Trinity site. How Radioactive Is Trinitite Today?